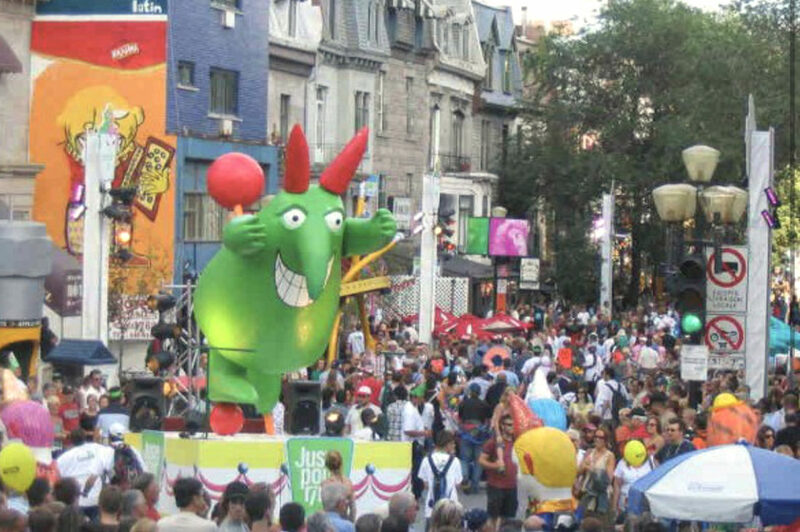 Spandy Andy, decked in a bright spandex outfit, turns on the beat at the Montreal Just For Laughs Comedy Festival. I had a few friends come along for the ride, but I was the only one interested in the festival. Driving over the border was a stressful adventure. My GPS could not recognize its location and all the road signs were in French, which didn’t help with the confusion of one-way streets that seemed never-ending. I remember the happiness and relief I felt once I found our hotel and could escape the confines of my vehicle for the weekend. After check-in, I grabbed my map and ventured off on my own through the bustling city. 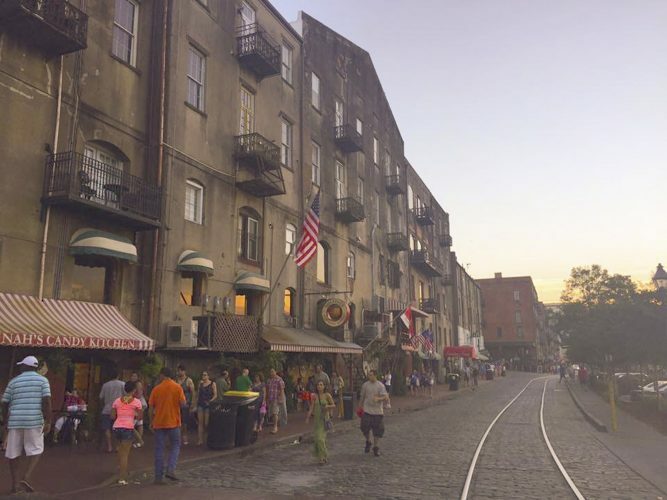 The neighborhoods ranged from French colonials and cobblestone roads to eclectic street art embellishing the seasoned facades of the buildings. It brought an old European feel to the province. Eventually, I found the Place des Arts venue and laughed the night away attending performances by some of my favorite comedians. Once the show ended, I was ready to see what else this festival and city had to offer. Music and cheers were masked over the night air as I walked through the crowd of Montreal residents. I felt as though I stood out like a sore thumb, but that was only true when I opened my mouth. My upstate New York accent seemed more prevalent amongst the French that was being spewed across the crowd of patrons. Street performers were everywhere as I walked through the crowd of onlookers and flashing lights. I first noticed a one-man band singing “Don’t Worry Be Happy” with a drum on his back and cymbals clashing between his knees. He was smiling and dancing as he walked through the crowd. “I sure will be happy. Thank you, random talented stranger,” I shouted as his energy began to make me dance. The night really got interesting when I was distracted by a guy decked out in a bright spandex outfit with neon glasses and curly hair, while sporting a boom box. He turned on the beats and got the crowd to form a circle around him as he danced. He was amazing. He was breakdancing, moon walking, doing back flips and including the crowd to join in. 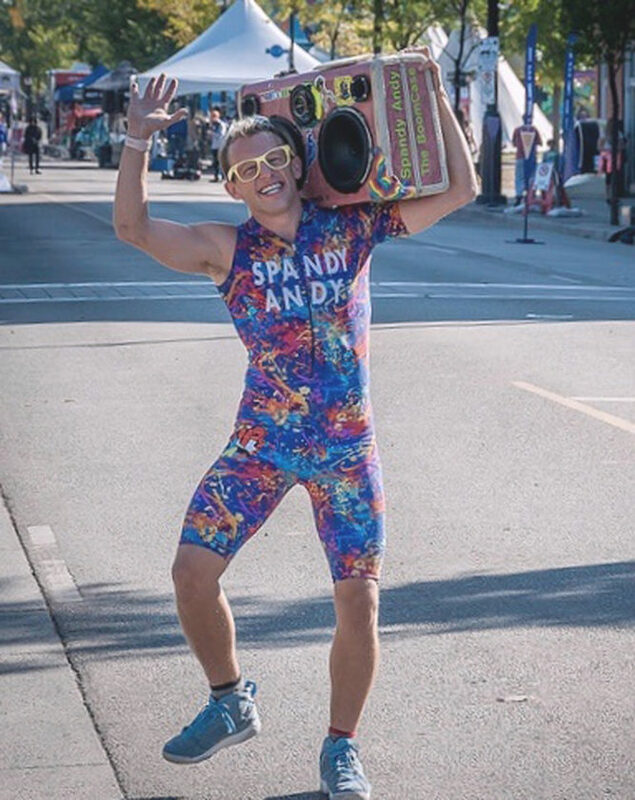 His stage name was Spandy Andy and I later discovered he was a world-renowned YouTube sensation. We locked eyes and his spandex covered arm reached out for mine. He mostly just danced around me while I stood in embarrassment and laughed awkwardly, but his energy was infectious. The crowd loved it and he loved them right back. It made my night and helped me work off that dreaded bowl of poutine I tried earlier in the evening. The trip to Montreal was entertaining to say the least, but I am grateful we will now have the National Comedy Center right here in our hometown to enjoy comedians year-round and to save me the trip of crossing the border just to get a chuckle. I will never forget that weekend or my brief yet interesting encounter with Spandy Andy. I Google him from time to time and see he is now traveling the globe, spreading his love and joy of dancing-as he should. The world is a better place when it is spent laughing. Why can’t more people be this carefree and spread the happiness?